PINWHEEL GARDEN WINDMILL home decor, jewelry, decor, decorations, electronics, fountains, floor mats, art glass, vases, garden essentials, fireplace screens. Specifications: Item weight: 10 lbs. 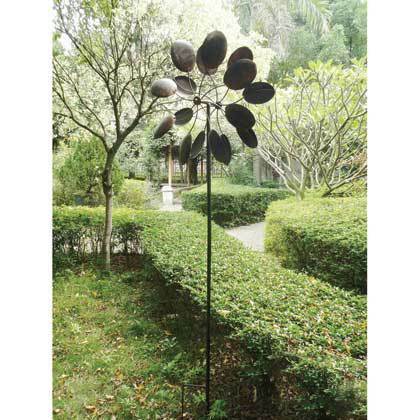 Windmill: 24¾" x 3½" x 25" high; 84" high with stakes. Iron.